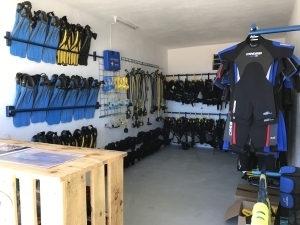 Clients reception area with diving gear and clothing shop. We’ve everything you need to enjoy your vacations at the sea! 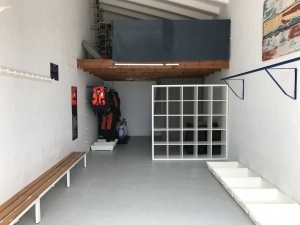 Changing area and store for clients personal dive equipment. We have fresh water showers and an equipment washing and drying area. Area for warehousing and selecting all the dive center equipment. 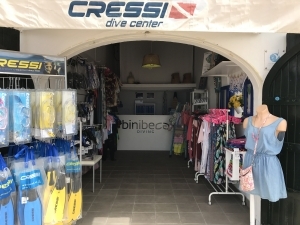 We work with the renowned diving brand Cressi Sub. 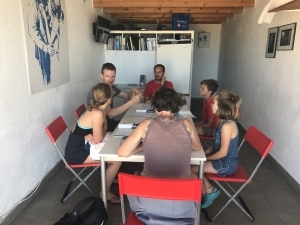 Study area for students used during the PADI Courses theory. Independent area designated purely to charge air and nitrox cylinders. 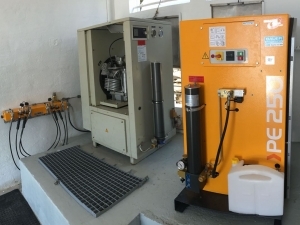 We have 2 Bauer compressors, one of them brand new from 2018. Your security is a MUST for us! For those of you not diving, the dive centre proposes the bar/restaurant Paupa, where having a drink or something to eat with beautiful sea and beach views will make you forget you were even waiting. We offer a babysitting service for diving couples/ families with little ones, who can rest assured the kids are cared for and enjoying themselves while mum and dad marvel at the underwater world. Binibeca diving have a fantastic Valiant RIB of 7.5 m long LOA and a beam of 2.9m powered with a 200HP Suzuki engine, new from 2018. There is a limit of 12 people onboard plus captain and instructor. We also have boats to rent to enjoy the menorcan sea in all its possibilities! Barcelona, 1976. 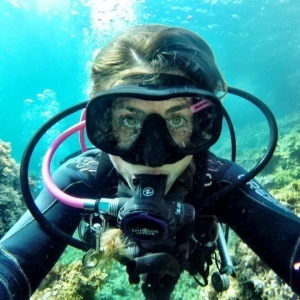 An injury sustained in the French Alps, leaving me unable to snowboard for a time led me to my lucky discovery of Scuba Diving. From the first moment of trying Scuba, I fell in love with the feelings of peace, 0 gravity and freedom it transmits to me. Without a shadow of a doubt that very summer i undertook an internship in order to become a Divemaster. As a ski and snowboard instructor for more than 20 years, I have always been involved with the world of teaching sport and experience. As teacher of instructors of snowboarding of 20 years, I find it fundamental to instill a quality level of learning and technical formation that emphasises the small details, which in turn marks the difference between taking part in or dominating a sporting discipline. During the cousres I give, I like to use a wide range of tools and techniques depending on the students to maximise their learning process. I of course draw from my personal learning and qualifications achieved from different governing bodies of the Diving world (PADI, TDI, UTD, DAN etc). 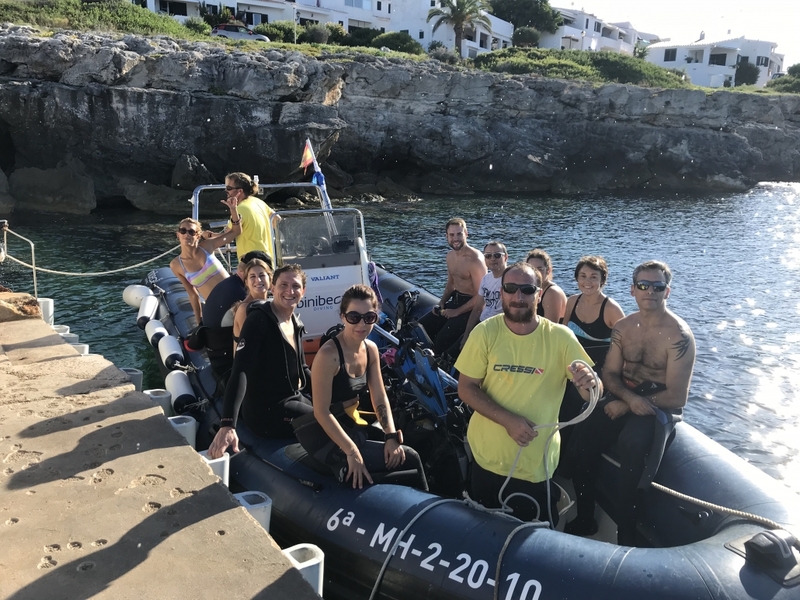 Having worked in a number of Dive centres, and being heavily relied upon to operate these centres day to day, I have finally taken the plunge in this new personal adventure, where I hope my years of learning and experience coupled with my passion for the sport will allow me to create a place of fun, excitement and learning as it should be done. fishermen, my life has been lived next to the sea. to continue studying and teaching in order to ultimately learn something new every day. 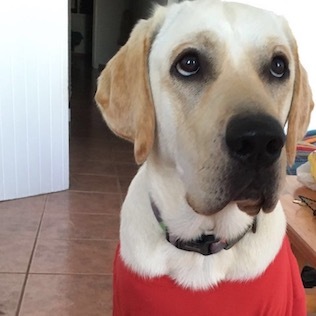 Born in Barcelona in February 2015 and raised from 3 months in Menorca, next to the sea, my true passion. I enjoy swimming in any kind of water, call puddle, pool or sea, definitely, water is an obsession for me. I am happy by the sea. Of my hobbies, I would definitely highlight eating, whatever it is, eating makes me happy as swimming. If you visit us in Binibeca Diving you will surely find me in one of the locals or going around Cala Torret, another of my weaknesses.